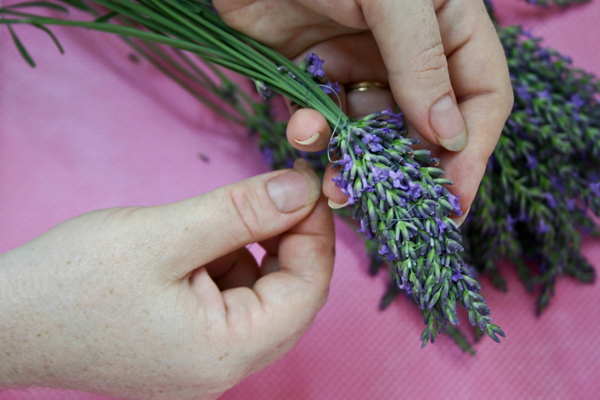 What do you do with lavender? My general approach has always been to cut it with great intentions, stick it in a jar to dry, and then throw it out months later when the dust has gathered and half the blossoms have fallen off. Last winter, however, I was introduced to another way to keep lavender when my aunt gave me this sweet smelling and surprisingly durable sachet bundle. Fashioned only from the lavender itself and some strong thread (the ribbon is purely decorative but adds a nice touch), the sachet traveled safely in packed luggage on at least two cross country flights and has also stood up to investigation by a curious 2-year-old (which is probably even more impressive). 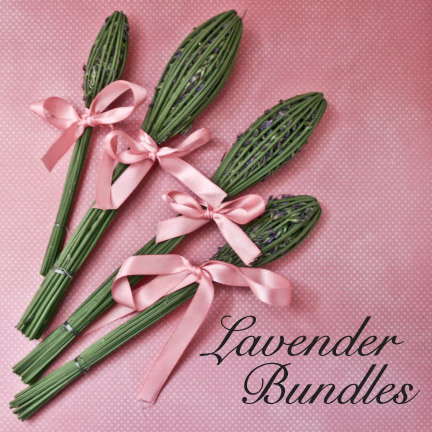 With a plentiful supply of lavender needing to be picked, I decided to try my hand at recreating this pretty little bundle. These sachets or bundles keep the flowers from getting everywhere and creating a mess, so they are perfect for nestling in a lingerie drawer, and they are pretty enough to set out on a little shelf or put in a vase. 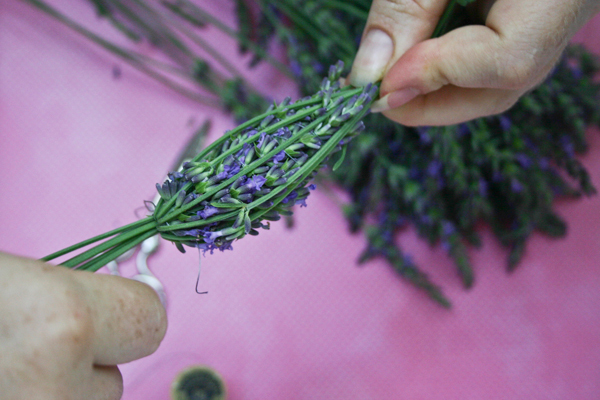 The best part, for me at least, is they must be made immediately after picking the lavender, so there is no forgetting about the project as the lavender gathers dust hanging in a bundle somewhere or stuck in a vase on top of the refrigerator. They also require very little in the way of supplies and are super simple to make. I will show you how I did it. 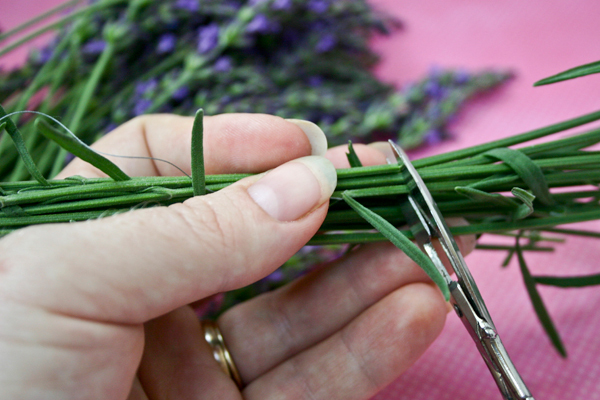 Cut about 20 stalks of lavender, leaving the stems as long as possible. Arrange them in a bouquet with the bottom petals as close to even as possible. 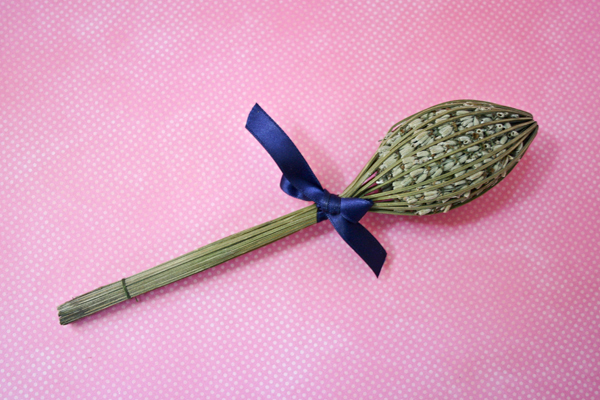 If the flower sections of any stems are much longer than the others you may wish to clip them. Wrap the thread tightly around all the stems just below the lowers blossoms. 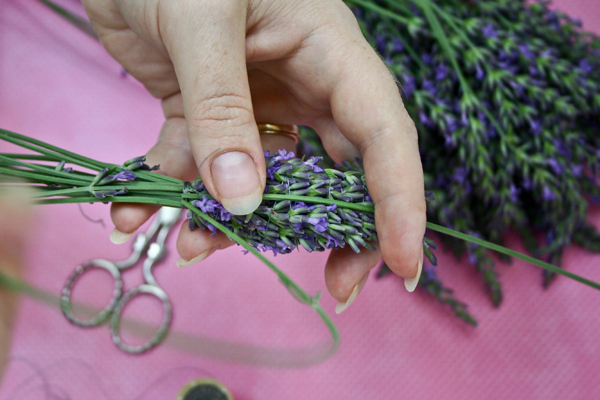 When the stems are secure, begin to wrap a bit more loosely up the flower section of the lavender. This will help keep the flowers from falling out, but don’t worry about binding all the flowers down with thread as the bent stem “birdcage” we are going to create will do most of the work. Wrap the thread to the tips of the flowers and then back down. Wrap a few more times around the stems and then tie it off nice and tight. Now we begin folding the stems over to create the bird cage around the blossoms. At the point where the stems are tied, fold the stems back one at a time, spacing them as evenly as possible around the flowers. It helps to rotate the bouquet, folding the stems down on opposite sides and then filling in between to secure the gaps. Hold the folded stems in a bunch just past the tip of the flowers. 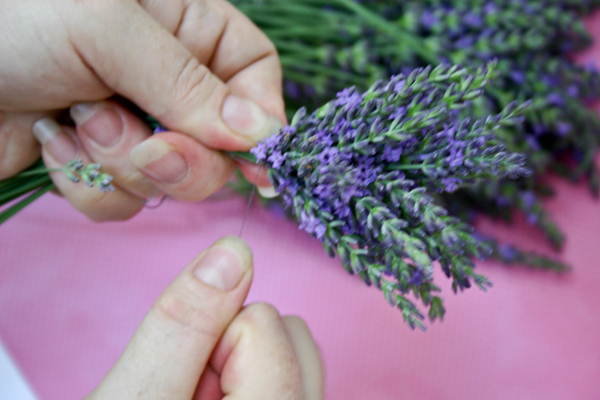 When all the stems are bent and arranged around the flowers, secure them by binding with thread. Trim the bottom of the stems so they are even. 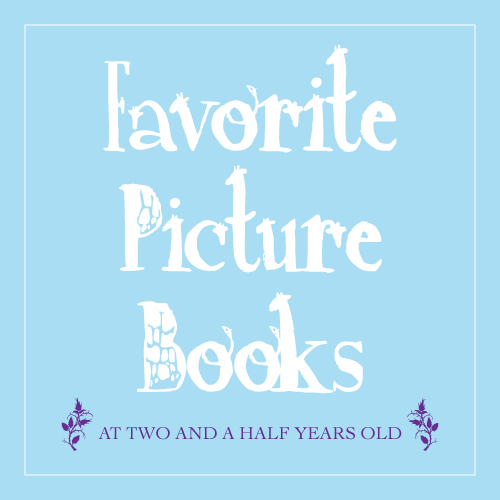 I left mine fairly long and bound them together again near the bottom, but you could make the stem part shorter. Tie a pretty ribbon over the thread at the top, and voila! 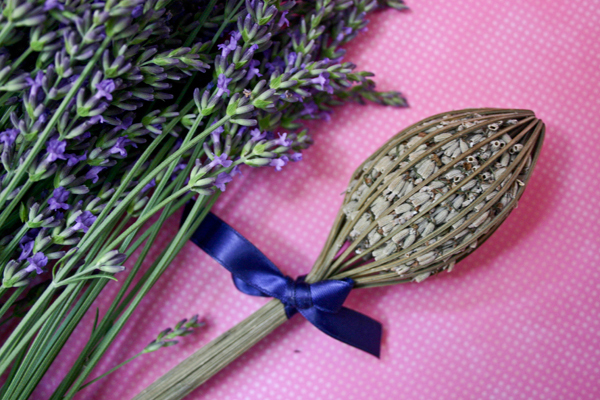 A sweet smelling lavender sachet bundle! 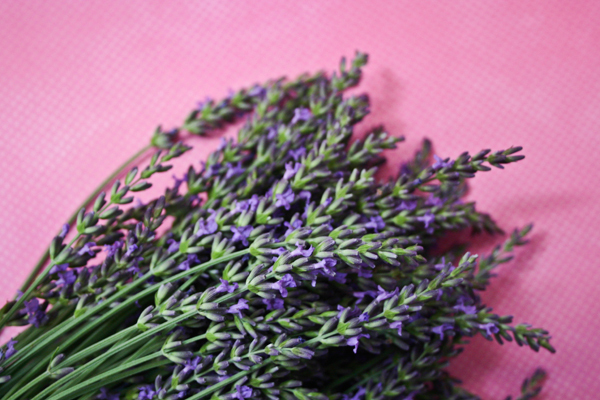 You will want to have some airflow around the lavender while it dries so the flowers won’t mildew or mold, so put it in a vase or set it out on a shelf for a couple weeks. I am wondering now if other herbs could be bundled this way – maybe mint or rosemary? 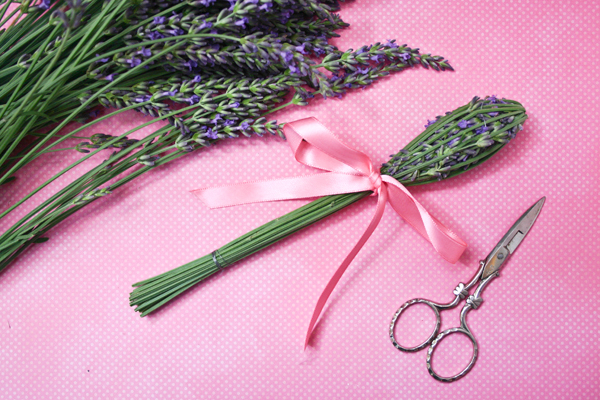 The entry 'Fresh Lavender Bundles – Tutorial' was posted on July 19th, 2014 at 3:49 pm	and is filed under Garden, Things I've Made, Tutorials. You can follow any responses to this entry through the RSS 2.0 feed. You can leave a response, or trackback from your own site.